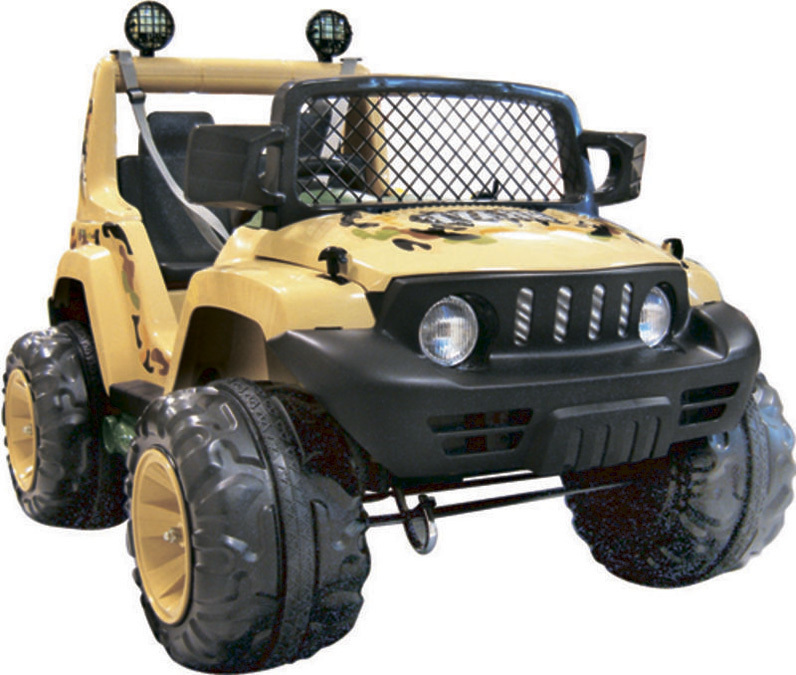 Two-seater rugged jeep with 2 motors. Speedy ride with realistic stick-shift! Bigger kids will love this ride!